We have one thing to say about this costume: glowing eyes! It might sound strange for grown adults to get excited about an outfit with glowing eyes, but we’re beyond caring about judgement. 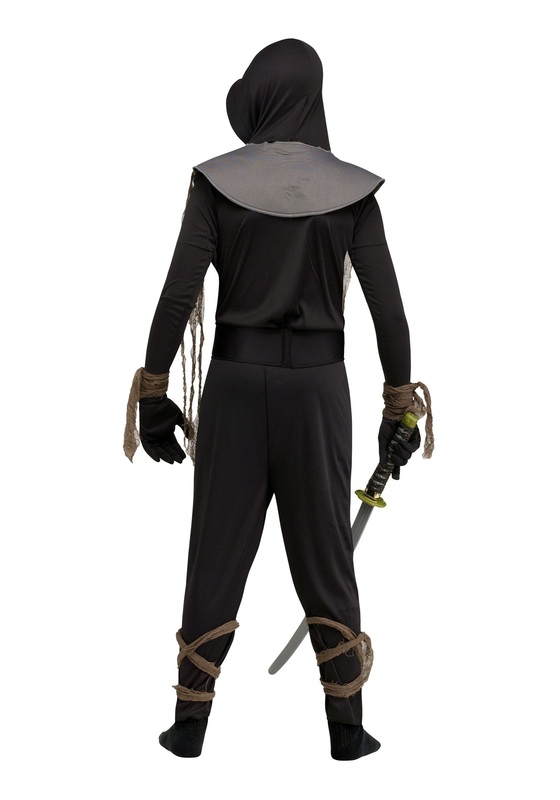 We’re in love with glowing eyes, especially when it’s on an awesome demon ninja costume like this one. If we’re this excited thinking about it, you can only imagine how your kid is going to feel wearing it. You might as well send them to ninja school, except you still get to have them around. Or have to, depending on how you look at it. We know what you might be thinking––your child doesn’t need a costume to portray a demon. If that’s the case, this costume will just solidify your thinking. Your child might, however, need some ninja training. Besides waxing on and off and catching flies in the palms of their hands, here are some household activities you might be able to convince your kid are a good substitute for ninja training: walking the dogs without anyone seeing them, taking out the trash without touching the ground, washing the windows under cover of darkness, or vacuuming the hallway blindfolded. 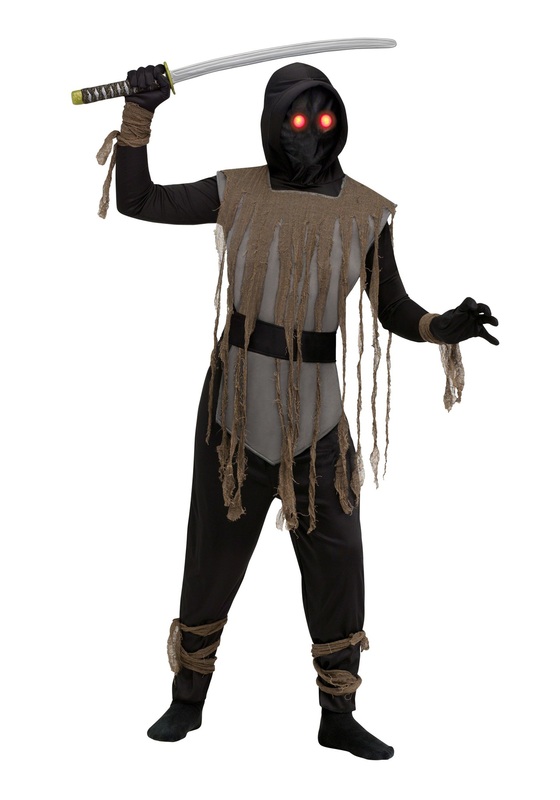 Your little Damien or Beelzebub will freak out the whole neighborhood in this outfit that’s complete with glowing eyes. Don’t forget batteries––the glasses require 3 AA batteries to light up. When they’re powered, they fade in and out like a scary demon watching from the darkness. See how far your kid can move in the dark while they’re faded out––that’s the demon ninja’s signature move to confuse enemies. They’ll never know where the demon ninja will strike from next––or just how many of them there are!